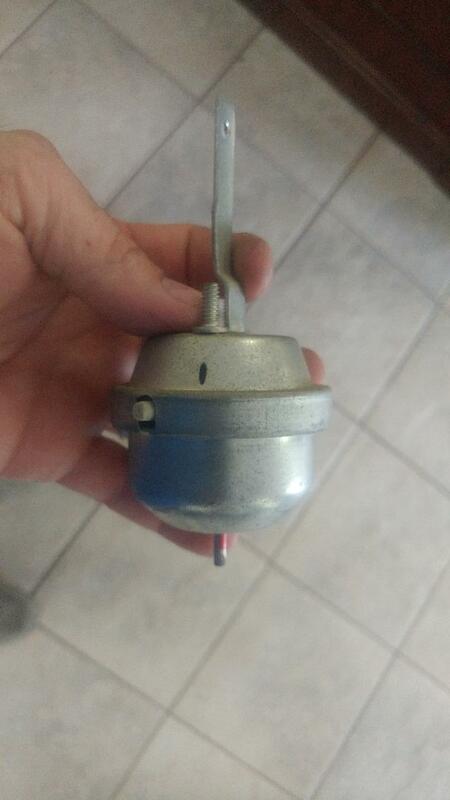 Looking for a 71 A/C Heater vacuum motor. Bondobax, That is the AC heat door motor. There should be four vacuum motors on your system but that one is the only dual port and has two mounting studs. I believe Classic Auto air has reproduction single port motors, but not the dual port. You could check with them to see if they offer a rebuild service. https://www.classicautoair.com/ Others that have already been through this may have some other sources for the motor you need . The Ford locator code for this motor is #6 and the Ford part# is D1ZZ-18A318-A if you want to try to find one on line. The illustration is the dual port D1ZZ-18A318-A. Could be an auto signature creator? (08-20-2018, 04:32 PM)secluff Wrote: Bondobax, That is the AC heat door motor. There should be four vacuum motors on your system but that one is the only dual port and has two mounting studs. I believe Classic Auto air has reproduction single port motors, but not the dual port. You could check with them to see if they offer a rebuild service. https://www.classicautoair.com/ Others that have already been through this may have some other sources for the motor you need . The Ford locator code for this motor is #6 and the Ford part# is D1ZZ-18A318-A if you want to try to find one on line. The illustration is the dual port D1ZZ-18A318-A.